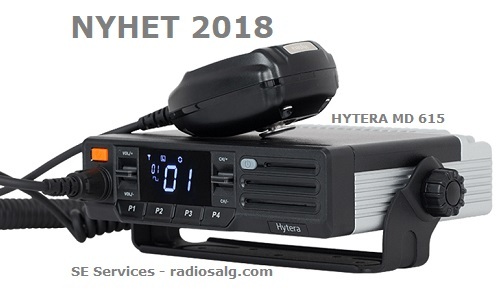 Nyhet i 2018 kommer MD615 mobiloradio. Utrolig mye bedre design og mer plasseringsvennlig enn tidligere utgaver. Denne modellen vil kunne bli en bestselger. Hytera MD-615 er regnskassjefens drøm da den er mye rimeligere. HYT MD_615 er en DMR radio, dvs analog og digital. Er du opptatt av god og klar lyd, ja denne mobilradio leverer varene. The MD615 has four programmable buttons on the front and supports a channel capacity of 48 channels over three zones. Hytera has designed a new 8-pin remote control head connector and programming cable, which is smaller and slimmer than previous models. Customers with existing MD655 and MD785 front panel accessories should note these will not fit the new MD615 models. The new port will support the SM11A1 palm microphone and PC109 programming cable. However, the rear panel DB26 connection port will share almost all the same accessories with the MD655/MD785, including SM09D1 external speaker, POA44 foot switch PTT, PWC10 power cord and PC60 ignition cable. The MD615 supports Hytera pseudo trunk technology, which enables two voice channels to be automatically assigned dynamically to allow several talk groups to communicate in the same frequency. 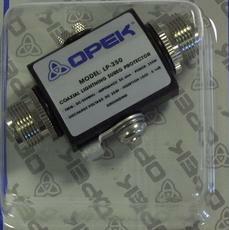 This increases the radio capacity and enables more than two talk groups at no extra cost or frequency license. Customers can also use Hytera's radio registration service (RRS), which provides a way to upload the on-line information on a DMR Tier II system when connected to a Hytera Dispatch console. This allows dispatchers to check the status of each radio as to whether they are on/off or in/out of range and generally improves fleet management. Other features that are included: support for DTMF and HDC1200 (coming soon) signalling in analogue mode; two simultaneous voice calls in direct mode thanks to DMR TDMA technology; and basic end-to-end encryption for voice and data. In addition, an optional roaming feature for use in large multi-site networks is available, along with further supplementary features such as radio enable/disable, remote monitor and priority interrupt. Dette produktet ble registrert i vår butikk Wednesday 04. April 2018.